A fascinating look at the stories behind the dedications of 50 literary classics. Mary Shelley dedicated Frankenstein to her father, her greatest champion. Charlotte Brönte dedicated Jane Eyre to William Makepeace Thackeray for his enthusiastic review of the book's first edition. Dostoyevsky dedicated The Brothers Karamazov to his typist-turned-lover Anna Grigoyevna. And, as this collection's title indicates, F. Scott Fitzgerald dedicated his masterpiece The Great Gatsby to his wife Zelda. Often overlooked, a novel's dedication can say much about an author and his or her relationship to the person for whom the book was consecrated. 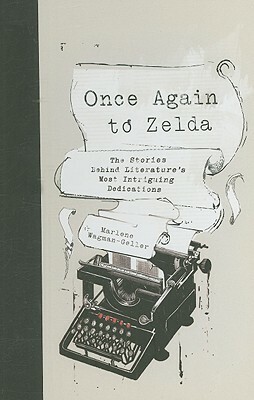 Once Again to Zelda explores the dedications in fifty iconic books that are an intrinsic part of both literary and pop culture, shedding light on the author's psyche, as well as the social and historic context in which the book was first published.